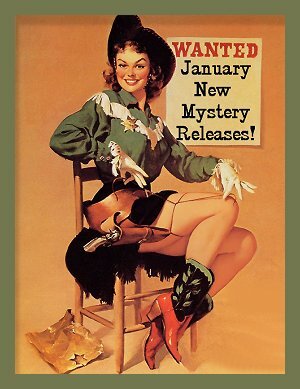 January 2018 New Mystery Releases! I'm running way behind schedule here on the blog due to the flu that Denis accidentally brought home from picking up our to-go order at a local restaurant. First it hit him, and just as he'd recovered, it slammed me. The poor man had to work Christmas day, but at least he felt well. I wouldn't've been fit company for man nor beast, but at least I did manage to keep a bit of food down. Anyway, that's why I'm behind and have no jolly lead-in to one of my favorite posts. I've grouped my picks of January's new crime fiction by their release dates, and I hope I've chosen a title or two that tickles your fancy. After all, if you're like me you received some gift cards during the holidays and you feel the need... the need to buy BOOKS! Let's take a look at this list of mine! 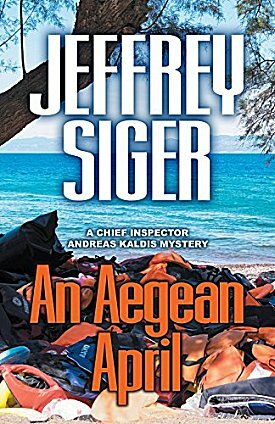 Series: #9 in the Andreas Kaldis police procedural series set on the Greek island of Lesvos. Synopsis: "The beautiful Greek island of Lesvos, birthplace of the poet Sappho, and for centuries an agrarian paradise famed for anise-flavored ouzo and tasty sardines, sees its serenity turn into chaos as the world watches boatloads of refugees daily flee onto its shores from Turkey across the narrow Mytilini Strait. And so, we're off on a nail-biting ride with Kaldis and his team through Byzantine island politics, deteriorating diplomatic relations, and a world on fire with intrigues and more brutal deaths." Series: #3 in the Emergency Dessert Squad cozy series set in Ohio. 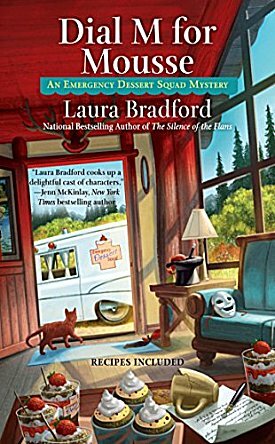 Synopsis: "The Emergency Dessert Squad business is booming, with owner and baker Winnie Johnson working overtime to satisfy the emergency cravings of Silver Lake, Ohio. Her latest order, a plate of motivational desserts for an artists’ retreat, is just what she needs to keep her mind off her own relationship woes. 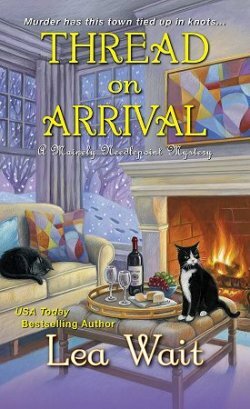 But Winnie’s problems seem like trifles when she discovers the body of retreat owner Sally Dearfield mere inches away from five oh-so-eccentric and viable suspects. Now, this baking detective must uncover the inspiration behind Sally’s murder before another creative genius is iced." Standalone thriller set in Los Angeles. Synopsis: "A bomb is more than a weapon. A bomb is an expression of the bomber’s predictions of human behavior―a performance designed to fool you into making one fatally wrong move. 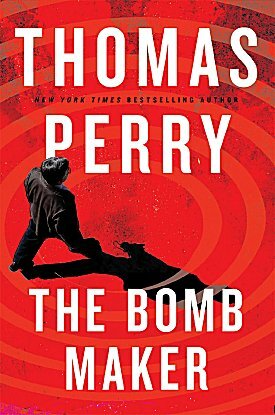 In The Bomb Maker, Thomas Perry introduces us to the dark corners of a mind intent on transforming a simple machine into an act of murder―and to those committed to preventing that outcome at any cost. As the shadowy organization sponsoring this campaign of violence puts increasing pressure on the bomb maker, and Stahl becomes dangerously entangled with a member of his own team, the fuse on this high-stakes plot only burns faster." 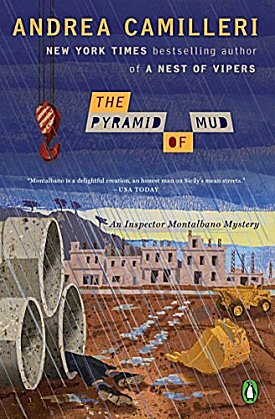 Series: #22 in the Inspector Montalbano police procedural series set in Sicily. Synopsis: "On a gloomy morning in Vigàta, a call from Fazio rouses Inspector Montalbano from a nightmare. A man called Giugiù Nicotra has been found dead in the skeletal workings of a construction site, a place now entombed by a sea of mud from recent days of rain and floods. Shot in the back, he had fled into a water supply system tunnel. The investigation gets off to a slow start, but all the evidence points to the world of construction and public contracts, a world just as slimy and impenetrable as mud. 'The novels of Andrea Camilleri breathe out the sense of place, the sense of humor, and the sense of despair that fills the air of Sicily.' 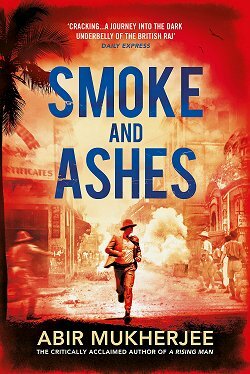 —Donna Leon"
Standalone art-history-inspired thriller set on the East Coast of the US. Synopsis: "There are four cousins in the Morse family: perfect Kenny, the preppy West Coast lawyer; James, the shy but brilliant medical student; his seductive, hard-drinking sister Audrey; and Teresa, youngest and most fragile, haunted by the fear that she has inherited the madness that possessed her father. Any hope that their grandfather planned to make amends evaporates when Teresa arrives to find the old man dead, his horrified gaze pinned upon the spot where the painting once hung. 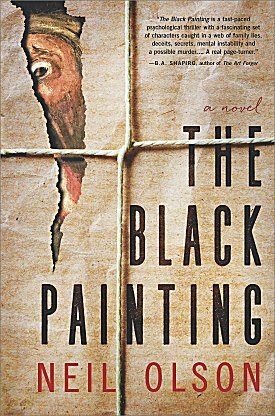 As the family gathers and suspicions mount, Teresa hopes to find the reasons behind her grandfather’s death and the painting’s loss. But to do so she must uncover ugly family secrets and confront those who would keep them hidden." Series: #1 in the Perveen Mistry historical series set in 1920s Bombay, India. 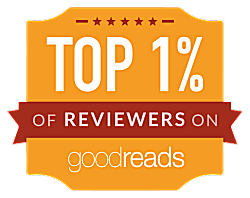 Synopsis: "Inspired in part by the woman who made history as India’s first female attorney, The Widows of Malabar Hill is a richly wrought story of multicultural 1920s Bombay as well as the debut of a sharp and promising new sleuth. Mistry Law has been appointed to execute the will of Mr. Omar Farid, a wealthy Muslim mill owner who has left three widows behind. But as Perveen examines the paperwork, she notices something strange: all three of the wives have signed over their full inheritance to a charity. What will they live on? Perveen is suspicious, especially since one of the widows has signed her form with an X—meaning she probably couldn’t even read the document. The Farid widows live in full purdah—in strict seclusion, never leaving the women’s quarters or speaking to any men. Are they being taken advantage of by an unscrupulous guardian? Perveen tries to investigate, and realizes her instincts were correct when tensions escalate to murder. Now it is her responsibility to figure out what really happened on Malabar Hill, and to ensure that no innocent women or children are in further danger." Series: #2 in the Victorian historical series set in 1880s London. Synopsis: "A photographer in 1889 London, Miss Sarah Bain runs a private detective agency with her friends, Lord Hugh Staunton and former street urchin Mick O’Reilly. Their sole credential is that they solved the Jack the Ripper case, a secret they can never tell because they did it outside the boundaries of the law. Their new big case arises when a wealthy banker, Sir Gerald Mariner, posts a handsome reward for finding his missing infant. All of London joins in the search. But Sarah has an advantage―a photograph she took during a routine surveillance job, which unexpectedly reveals a clue about the kidnapping. After Sir Gerald hires Sarah, Hugh, and Mick to find his son, they move into his opulent mansion and discover a photograph of baby Robin. It eerily resembles postmortem photographs taken of deceased children posed to look as if they’re alive. Was the kidnapping real, or a cover-up for a murder? Is the perpetrator a stranger, or someone inside the troubled Mariner family? The case hits close to home for Sarah as it intertwines with her search for her father, who disappeared after he became the prime suspect in a murder twenty-three years ago. She finds herself on the wrong side of the law, which threatens her budding romance with Police Constable Barrett. But Sarah must uncover the truth about Robin’s kidnapping, and her own family, before her past catches up to her in A Mortal Likeness, the gripping follow-up to award-winning author Laura Joh Rowland’s The Ripper’s Shadow." 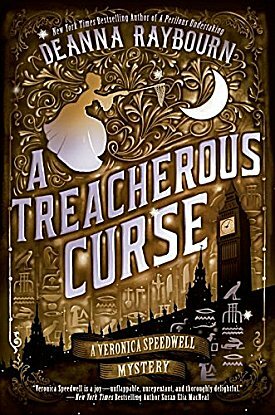 Series: #A3 in the Veronica Speedwell historical series set in 1880s London. Synopsis: "London, 1888. 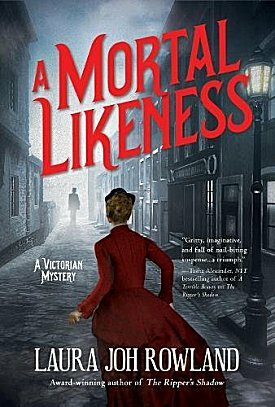 As colorful and unfettered as the butterflies she collects, Victorian adventuress Veronica Speedwell can’t resist the allure of an exotic mystery—particularly one involving her enigmatic colleague, Stoker. His former expedition partner has vanished from an archaeological dig with a priceless diadem unearthed from the newly discovered tomb of an Egyptian princess. This disappearance is just the latest in a string of unfortunate events that have plagued the controversial expedition, and rumors abound that the curse of the vengeful princess has been unleashed as the shadowy figure of Anubis himself stalks the streets of London. But the perils of an ancient curse are not the only challenges Veronica must face as sordid details and malevolent enemies emerge from Stoker’s past. Caught in a tangle of conspiracies and threats—and thrust into the public eye by an enterprising new foe—Veronica must separate facts from fantasy to unravel a web of duplicity that threatens to cost Stoker everything..."
Series: #1 in the Matthew Ryan police procedural series set in Northumbria, England. Synopsis: "Detective Sergeant Matthew Ryan wants to clear the name of his former boss, who stands accused of official corruption. But before he can do so, his boss disappears. Did he escape from police custody, or was he kidnapped? Or did something even worse happen to him? 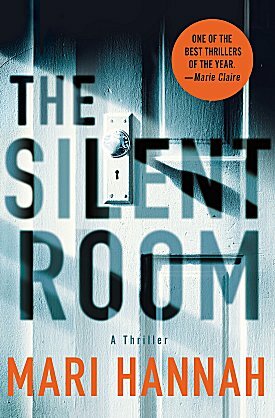 The Silent Room has everything a good thriller should have―compelling characters, a gripping plot and storyline, superb pacing, and a strong sense of place. In addition it has heart, something many thrillers sorely lack. Add some truly scary villains, vast uncertainty about whom to trust, and a loudly ticking clock, and we have ourselves a thriller that will grip readers from the first pages and never let go." Synopsis: "It’s late Thursday night, and Inspector Ross Carver is at a crime scene in one of the city’s last luxury homes. The dead man on the floor is covered by an unknown substance that’s eating through his skin. Before Carver can identify it, six FBI agents burst in and remove him from the premises. He’s pushed into a disinfectant trailer, forced to drink a liquid that sends him into seizures, and then is shocked unconscious. On Sunday he wakes in his bed to find his neighbor, Mia—who he’s barely ever spoken to—reading aloud to him. He can’t remember the crime scene or how he got home; he has no idea two days have passed. Mia says she saw him being carried into their building by plainclothes police officers, who told her he’d been poisoned. Carver doesn’t really know this woman and has no way of disproving her, but his gut says to keep her close. 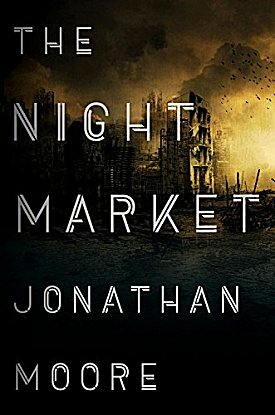 A mind-bending masterfully plotted thriller that will captivate fans of Blake Crouch, China Miéville, and Lauren Beukes, The Night Market follows Carver as he works to find out what happened, soon realizing he’s entangled in a web of conspiracy that spans the nation. And that Mia may know a lot more than she lets on." Series: #1 in the Nelson Lane Frontier historical series set in Wyoming and Oklahoma during the Great Depression. Synopsis: "Gangsters and hoodlums prey upon people’s weaknesses for a quick buck in an era that saw few bucks to spare, making criminals of everyday folks in the rural Great Depression. In a place as wild as the West ever was, in the heyday of the badmen and the lawmen, the law is in short supply. U.S. 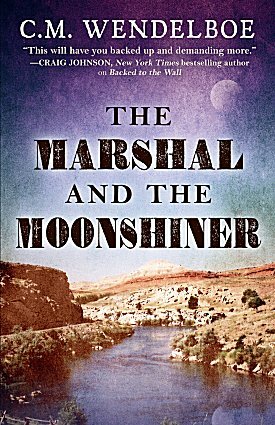 Marshal Nelson Lane chases a fleeing murder suspect from the frontier of the Wind River Indian Reservation in Wyoming all the way to the big city of El Reno in Oklahoma―out of his element in both places and nearly everywhere in between. His only help is an Indian rookie deputy sheriff, and she is as wild as any other young woman in that time with access to booze and men: Not much help to a widower alcoholic struggling in recovery. While she might get Nelson killed unintentionally, a shady sheriff dealing in illicit booze, his henchman warning to him to leave, and run of the mill moonshiners just taking care of business are running him down and trying to kill him from all sides. When his persistence pays off and he finally catches up with the murderer, Nelson must find it in himself to look beyond the law and deliver the ultimate justice." Series: #2 in the UNSUB police procedural series set in Texas. Synopsis: "In southern Texas, on Saturday nights, women are disappearing. One vanishes from a movie theater. Another is ripped from her car at a stoplight. Another vanishes from her home while checking on her baby. 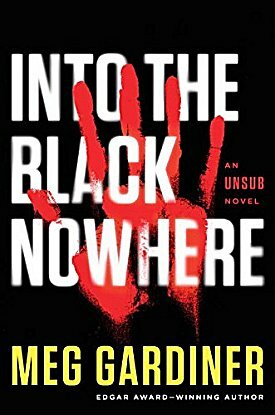 Rookie FBI agent Caitlin Hendrix, newly assigned to the FBI's elite Behavioral Analysis Unit, fears that a serial killer is roaming the dark roads outside Austin. To track the UNSUB, Caitlin must get inside his mind. How is he selecting these women? Working with a legendary FBI profiler, Caitlin searches for a homology--that elusive point where character and action come together. She profiles a confident, meticulous killer who convinces his victims to lower their guard until he can overpower and take them in plain sight. He then reduces them to objects in a twisted fantasy--dolls for him to possess, control, and ultimately destroy. Caitlin's profile leads the FBI to focus on one man: a charismatic, successful professional who easily gains people's trust. But with only circumstantial evidence linking him to the murders, the police allow him to escape. As Saturday night approaches, Caitlin and the FBI enter a desperate game of cat and mouse, racing to capture the cunning predator before he claims more victims." 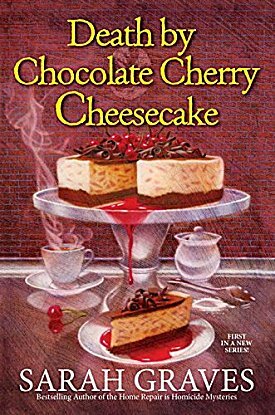 Series: #1 in the Death by Chocolate cozy series set in Maine. Synopsis: "Life just got a little sweeter in the island fishing village of Eastport, Maine. Jacobia “Jake” Tiptree and her best friend Ellie are opening a waterfront bake shop, The Chocolate Moose, where their tasty treats pair perfectly with the salty ocean breeze. But while Jake has moved on from fixing up houses, she still can't resist the urge to snoop into the occasional murder. Ellie never made a secret of her distaste for Matt, who had been raining on their parade with bogus talk of health code violations. Now, with no alibi for the night of the murder, she’s in a sticky situation with the police—and it’s up to Jake to catch the real killer and keep Ellie living in the land of the free." January is a good month for new crime fiction, isn't it? 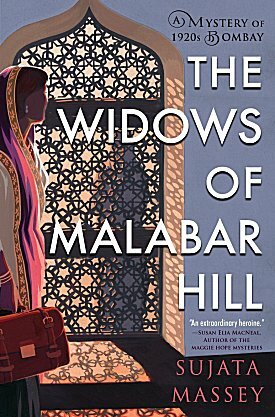 I think the book I'm looking forward to most is Sujata Massey's The Widows of Malabar Hill. Which titles are you looking forward to? Inquiring minds would love to know! Sorry to hear that you have been sick. A lot of people around my neighborhood has been stricken by various viruses. Take care of yourself and hopefully, you can celebrate New Year's Eve in a healthier state. Thanks for the book list. 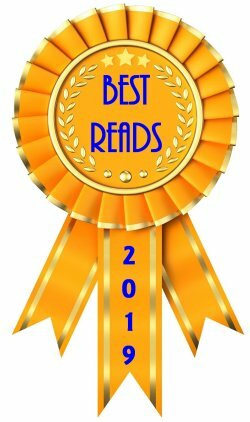 I see several I'd like to read plus Susie Steiner's, Eva Dolan's, Larry Sweazy's (out in spring) and so many other books out in 2018. And, of course, waiting for Elly Griffiths' last Ruth Galloway book (sigh). Am reading the latest book by Michael Connelly, an excellently constructed story. It's "Two Kinds of Truth," and features Bosch, but Haller is in it, too. I noticed that Connelly's book was a special price on Kindle today. I am feeling better, thanks, but I'm still running behind. Made myself do a laundry marathon yesterday. Whew! I am looking forward to Widows too. And I will visit the emergency dessert squad eventually. Ugh, sorry you got that awful bug. Just started A Treacherous Curse along with the new Jack Reacher book. Happy New Year. My husband just started the new Jack Reacher, too. Happy New Year!